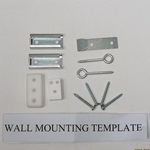 Additional Hardware Kits and Accessories for all of our gates and Korrals/Play Yards are available for your convenience. Please select your model gate for the correct hardware or accessories. PLEASE NOTE- ALL GATES & BARRIERS COME COMPLETE WITH THE NECESSARY HARDWARE FOR INSTALLATION. SHIPPING: All kits ship $2.00 per kit. 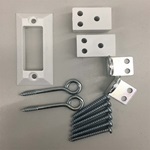 Hardware Kit for GuardMaster® II 376, 380 gates, and GuardMaster® III 476 gate. PLEASE NOTE: ALL GUARDMASTER® II & GUARDMASTER® III GATES COME COMPLETE WITH ALL MOUNTING HARDWARE. 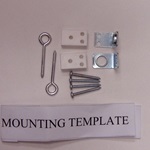 SHIPPING: All kits ship $2.00 per kit.